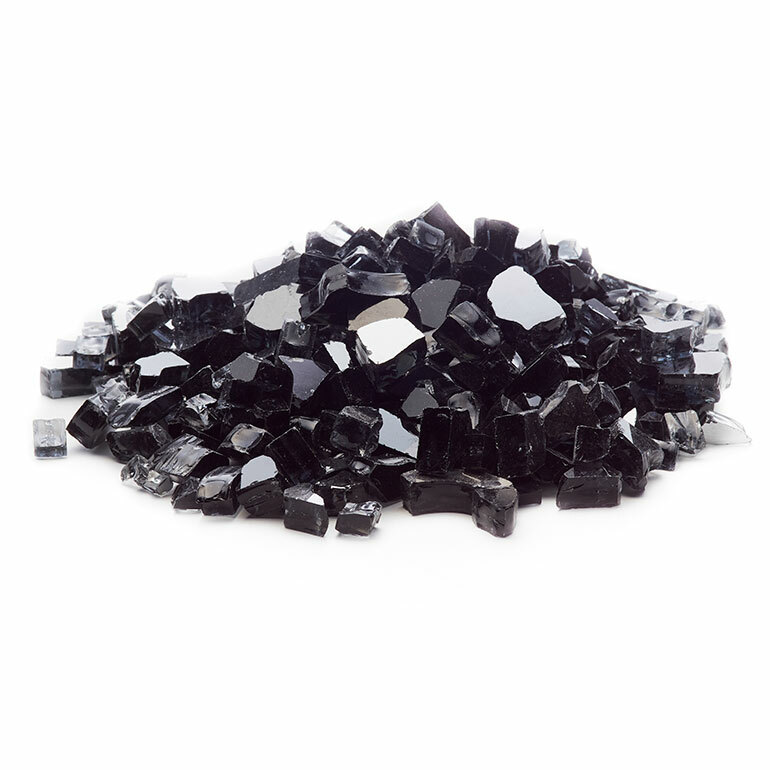 Exotic Pebbles & Glass is best known for our spectacular collection of fire glass products and crystals. 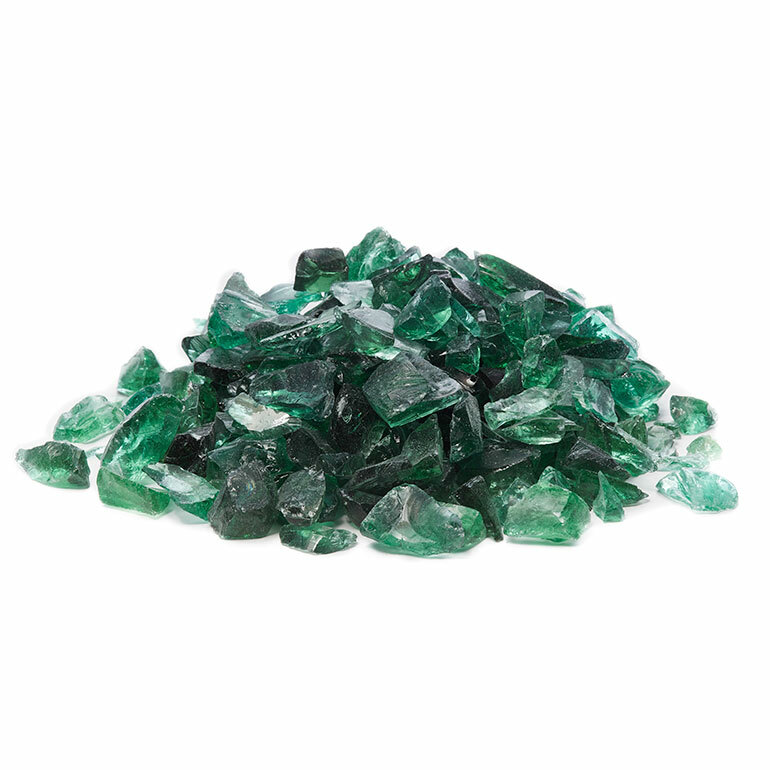 We provide the most stunning all-natural glass decor that outfits your fire pit or any fire range magnificently. View our fireplace buying guide if you’re determining what size should work best for you. We offer several types of fire glass to choose from and the benefits of using fire glass over traditional firewood cannot be mistaken. Choose either ¼ inch or ½ inch fire glass in the quantity (including our new 12 lb fire glass pail) you desire to fill up your fire pit perfectly. Our decorative glass products are also available in smaller sizes to suit any fire application. Example video of fire glass applications for your fire pit of fire place. 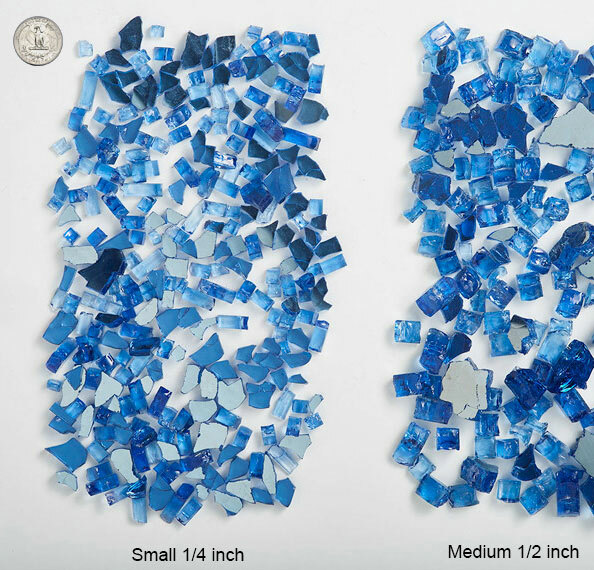 Exotic Pebbles offers a gorgeous reflective fire glass collection and in a wide range of colors to help you match the design of your outdoor living space. Our reflective fit pit glass will continue to shimmer, dazzle, and shine after years of use. 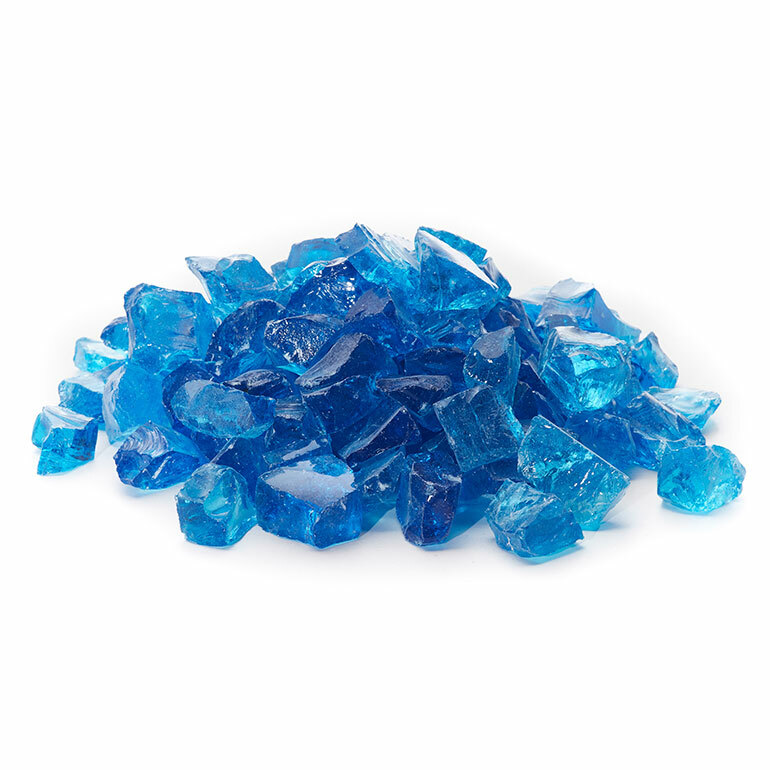 Our top selling colors include: black fire glass, cobalt blue fire glass, sky blue fire glass, and gold fire glass. 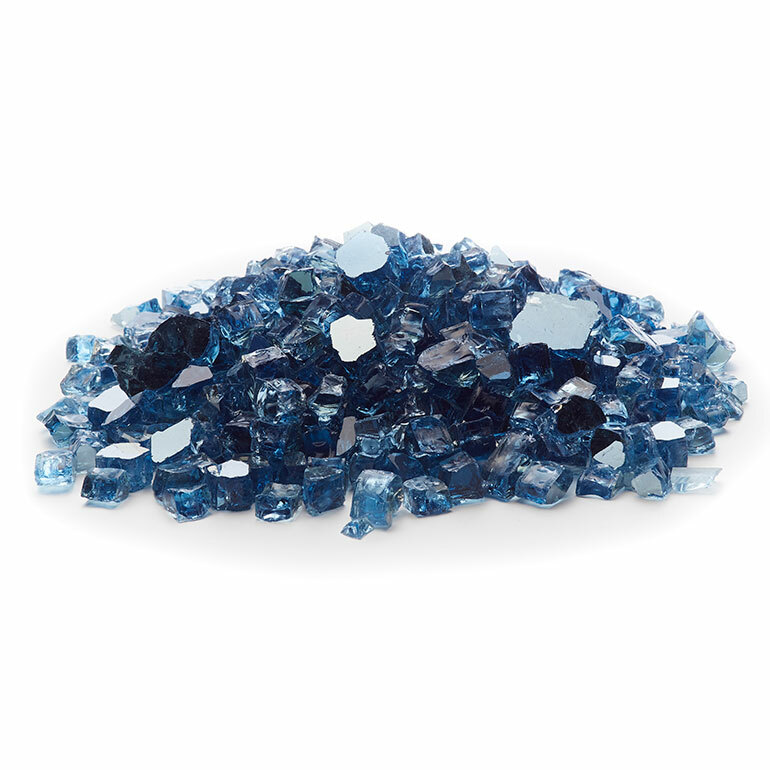 Fire glass is commonly used by resorts, hotels, restaurants, shopping centers, apartment communities, and homeowners looking to enhance the design and atmosphere of their outdoor or indoor living spaces. It serves both an aesthetic and functional purpose and is an exceptional replacement to fake wood logs or other burning material. Visit our fire glass informational page here to learn more. Use our coverage calculator located here to ensure you order just the right amount of glass for your specific project. There are no limits to what you can do. Browse our collection catalog for further inspiration or visit our fire glass frequently asked questions page for more info. We have always believed that educated decisions are the best ones. That’s why at Exotic Pebbles we have put together an informational guide covering the most frequently asked questions. We answer everything from, “How long does fire glass last?” to “Will the glass melt?”. Check out our faq page for more. You can purchase Exotic Fire Glass online or from one of my authorized local retailers including Lowes, You may view the nearest retailer here.